Can you turn a tent into a ten into a net into a nest into a vest into a chest? 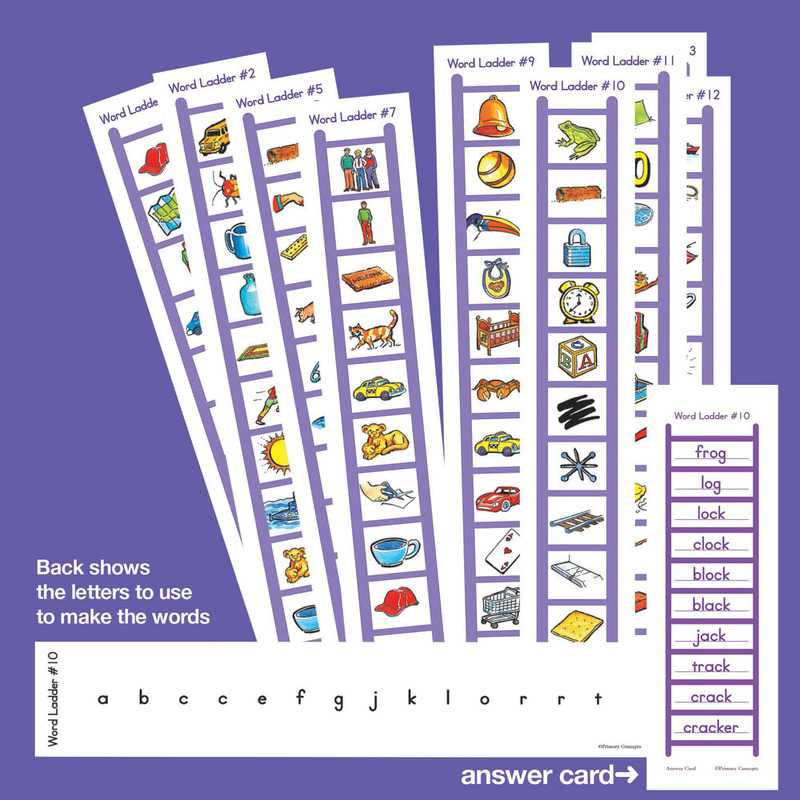 Children will love learning to recognize phonics patterns as they work with these sturdy word ladders. Each word differs by only a letter or two from the one above it. 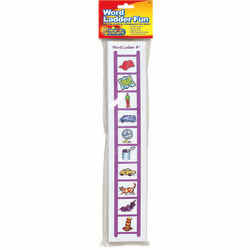 The back of each ladder shows the letters that are needed to make all the words. 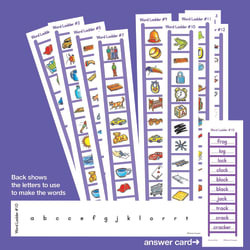 Includes 24 sturdy word ladders, 24 answer cards, teacher notes, and FREE projectable cards for whole class use.